Garden Park Medical Center in Gulfport offers comprehensive orthopedic care and a leading-edge approach to the prevention, assessment, treatment and rehabilitation of injuries and disorders of the bones and joints. Our highly-trained professionals include orthopedic surgeons, nurses, physician assistants, rehabilitation specialists, and medical support personnel who work with each patient and his or her primary care physician to develop a bone and joint treatment plan specifically for each patient. We provide comprehensive diagnoses and treatments for a wide range of muscular, joint and bone problems including fractures, sports medicine injuries, bone and joint disease and the related structures ligaments, tendons, nerves and muscles. Garden Park Medical Center offers a free education session to patients scheduled to have a total joint replacement. The Camp is held every Thursday at 10:30am in Classroom 2. During this session, you will hear from a representative from each department that is instrumental in helping you have an exceptional experience during your stay and smooth recovery that will aid in healing properly. Please contact email use for more information or call (228) 575-7029 or email. By combining advanced clinical expertise with a compassionate, caring treatment philosophy, we have created a bone and joint treatment program known for its superior quality of care. 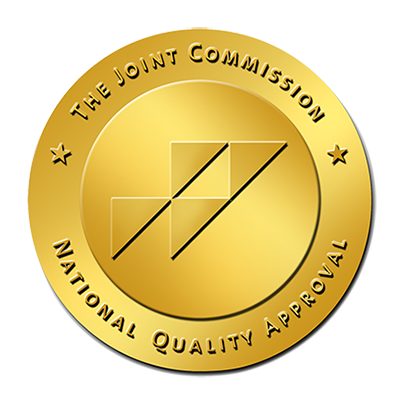 Garden Park Medical Center earned The Joint Commission’s Gold Seal of Approval® for Total Hip and Knee Replacement Certification, the first in the state of Mississippi. The Gold Seal of Approval® is a symbol of quality that reflects an organization’s commitment to providing safe and effective patient care.